410 грн. Form Labs BCAA 4400 200 таб. 295 грн. SciTec Essentials Mega Ginseng	100 caps. 200 грн. SciTec Nutrition Lysine	90 caps. 180 грн. 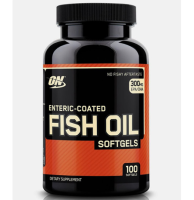 Universal Nutrition Vitamin E Formula 100 softgels. 280 грн. BioTech USA IMMUN Support 60 tabs. 215 грн. 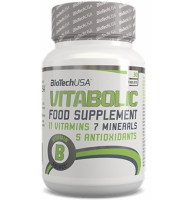 BioTech USA Multivitamin for Men 60 tabs. 195 грн. 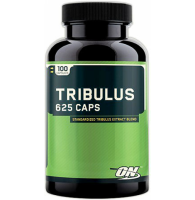 BioTech USA Testabolic 60 caps. 205 грн. Form Labs Creatine PhosphaPump 500 г. 640 грн. Фортоген Протеин Сывороточный КЛАССИКА-65 3000г. 235 грн. Фортоген Протеин Сывороточный КЛАССИКА-65 900 г. 280 грн. ​BioTech USA SHAPER 90 caps. 470 грн. ​BioTech USA CREATRANS 1000 g.
515 грн. ​BioTech USA DAILY PACK 30 pack. 375 грн. ​BioTech USA CreaSyn 120 caps. 375 грн. ​BioTech USA CREA ELITE 120 caps. 590 грн. ​BioTech USA THERMO DRINE PACK 30 pack. 360 грн. 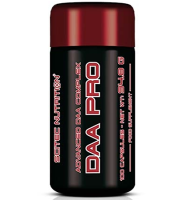 ​BioTech USA BCAA ELITE 120 caps. 425 грн. ​BioTech USA AMINO BUILD ELITE 120 caps. 435 грн. ​BIOTECH USA TST + GH 300 g.
445 грн. ​BioTech USA BCAA Flash Zero 360 g.
368 грн. ​BioTech USA CITRULLINE MALATE 300 g.
185 грн. ​Biotech USA Magnesium 120 caps. 160 грн. ​BioTech USA DESTRESS 30 caps. 1 490 грн. ​BioTech USA Hydro Whey Zero 1816 g.
290 грн. ​BioTech USA HYALURONIC & COLLAGEN 30caps. 315 грн. ​BioTech USA Protein Fusion 85 454 g.
298 грн. ​BioTech USA CREA FLASH 320 g.
205 грн. ​BioTech USA 100 % Micronized Creatine Monohydrate 300 g.
233 грн. ​BioTech USA For Her Mega Fat Burner 90 caps. 205 грн. ​BioTech USA For Her L-Carnitine + Chrome 60 caps. 465 грн. ​BSN AMINO X EDGE 420g.-14.81 oz. 405 грн. ​BSN Glutamine DNA 309 g./ 10.9 oz. 24 грн. ​IronMaxx PROTEIN 35 g.
270 грн. ​IronMaxx Protein Muesli 550 g./ 1,21 lb. 1 300 грн. ​MEX Isolate Pro 1,816 g./ 4 lb. 1 325 грн. 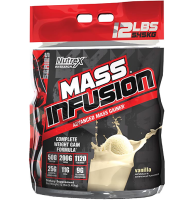 ​Nutrex MUSCLE INFUSION 2270 g./ 5lb. 535 грн. 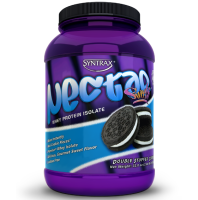 ​Nutrex LIPO 6 120 liqui-caps. 580 грн. 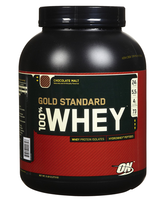 ​Optimum Nutrition Gold Standard PRE-WORKOUT 300 g./10.58 oz. 25 грн. ​QNT Easy Body Protein Bar 35 g.
450 грн. ​RSP Fast Fuel 256.5 g./9 oz. 995 грн. ​RSP Nutrition WHEY Protein Blend 1.81 kg./4 lb. 1 165 грн. ​SAN MetaForce 5.0 2.27 kg./ 5 lb. 230 грн. ​SciTec Nutrition CREA STAR 270 g.
380 грн. ​Scitec Nutrition RE-Style 120 caps. 310 грн. ​SciTec Nutrition MEGA ARGININE 90 caps. 470 грн. ​SciTec Nutrition ARGININE LIQUID 1000 ml. 665 грн. ​SciTec Nutrition EGG PRO 930 g.
680 грн. ​SciTec Nutrition INTRA EDGE 720 g.
325 грн. 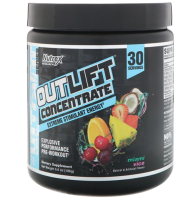 ​SciTec Nutrition Liquid Carni-X 40 000 500 ml. 385 грн. ​SciTec Nutrition CREA-BOMB 660 g.
845 грн. ​SciTec Nutrition Zero IsoGreat 900 g.
545 грн. ​SciTec Nutrition PRO MIX 912 g.
416 грн. ​SciTec Nutrition SOY PRO 910 g.
645 грн. ​SciTec Nutrition Superhero 285 g.
375 грн. ​SciTec Nutrition Mega Carni X 60 caps. 480 грн. ​SciTec Nutrition Protein Ice Cream 1250 g.
625 грн. ​SciTec Nutrition 100%Whey Isolate 700 g.
160 грн. ​SciTec Nutrition Advanced Multi Mineral 60 tab. 490 грн. ​SciTec Nutrition Protein Pancake 1036 g.
545 грн. 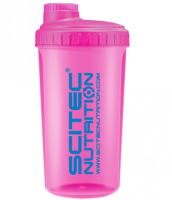 ​SciTec Nutrition Trans X Professional 1816 g.
280 грн. ​SciTec Nutrition Protected Creatine Pyruvate 100 caps. 620 грн. ​SciTec Nutrition 100% Whey Protein Superb 900 g.
515 грн. ​Ultimate Nutrition Amino Gold 325 tab. 620 грн. Betancourt Nutrition BIGBLEND 2 lb./ 907 g.
197 грн. Bio Tech USA CRANBERRY SUPREME 60 tab. 200 грн. 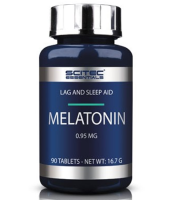 BioTech USA Lecithin	55 caps. 295 грн. 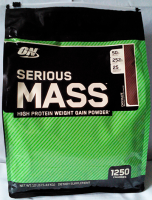 BioTech USA Muscle Mass 1000 g.
245 грн. BioTech USA Beta Alanine 90 caps. 380 грн. BioTech USA BEEF PROTEIN 500 g.
270 грн. 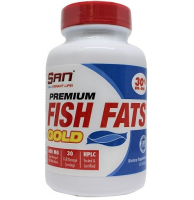 BioTech USA FAT-X 60 tab. 385 грн. BioTech USA Beta Alanine 300 g.
350 грн. BioTech USA HMB 150 caps. 827 грн. BioTech USA Hyper Mass 5000 2,27 kg. 1 430 грн. BioTech USA Iso Whey Zero 1816 g.
245 грн. Biotech USA L-ARGININE 90 caps. 505 грн. BioTech USA 100% BCAA 400 g.
580 грн. BioTech USA BLACK BLOOD 330 g.
470 грн. BioTech USA L-ARGININE 300 g.
152 грн. BioTech Usa MultiSalt 60 caps. 315 грн. BioTech USA Nitro Pure Whey 454 g .
1 220 грн. BioTech USA Nitro Pure Whey Gold 2200 g.
570 грн. 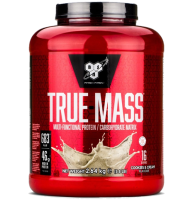 BioTech USA Casein Fusion 908 g./2 lb. 418 грн. BioTech USA Hydro Whey Zero 454 g.
515 грн. BioTech USA Nitrox Therapy	680 g.
415 грн. BioTech USA CARNI ELITE 120 caps. 580 грн. BioTech USA Mega Amino 3200 500 таб. 225 грн. Biotech USA Men's Arginmax 90 tab. 165 грн. BioTech USA ALA 50 caps. 1 190 грн. BioTech USA BEEF PROTEIN 1816 g.
250 грн. BioTech USA Beta Alanine	120 caps. 330 грн. BioTech USA LIQUID AMINO 1000 ml.